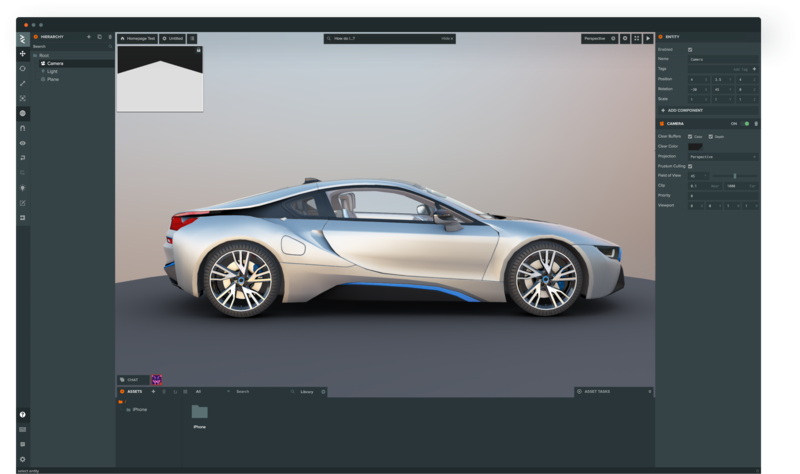 The PlayCanvas Editor is the most advanced WebGL authoring environment available. It's packed full of features to help speed up your development and stay ahead of the competition. Test your applications directly on mobile and tablet hardware. Code and assets live update on your device for fast iteration times. The features above are just a few of our favorites. There are many, many more to choose from and many more in the pipeline. Select from multiple shadow casting algorithms to suit your performance needs. Light cookies enable cool effects cheaply. See changes from your team mates instantly with our Google-docs style collaboration features.